TORONTO, Ontario – Scroll through the Volkswagen Canada website and its model lineup is filled with gas-powered sedans and SUVs. The lone available fully-electric e-Golf and its future I.D. family concepts (VIZZION, CROZZ, BUZZ and I.D.) are found at the bottom of the list. However, what you see is not what's in store for Volkswagen's vision of the future. 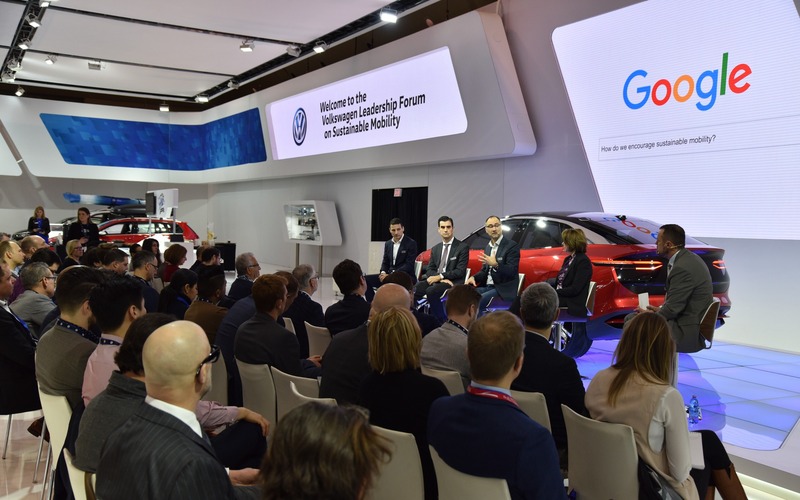 According to Volkswagen Group Canada president and CEO Daniel Weissland during its own leadership forum at the Canadian International Auto Show (CIAS) in Toronto, that's soon to take a 180-degree turn. A bold statement by Weissland, but one that the massive German conglomerate stands behind with a global vehicle offensive of 50 electric products to be introduced by 2025 through its modular all-electric MEB platform; 20 per cent of those are expected to come to Canada with the I.D. CROZZ concept (production by 2021) shown off at the event as a glimpse to Volkswagen's' future. The amount of upcoming product is nothing new for this industry. These five-to-ten-year plans have become more commonplace: Mercedes-Benz showed off the EQC SUV, its first of ten all-electric global products (50 electrified expected) by 2022, Infiniti is to be fully electrified by 2025, BMW will have 25 electrified vehicles by 2025 with close to half being all-electric, and Cadillac has an all-new battery electric architecture and the soon-to-be leading electric vehicle brand of General Motors. In total, the Volkswagen Group is making a CAD$45-billion investment in the electric vehicle space. It's a lot of money to be doling out for an alternative mobility solution that may in the end not be the adopted practice of the public or financially sustainable. The large investment and bold rhetoric praising Musk compels attention across various industries; comments that would have been unheard of ten years ago, even five. 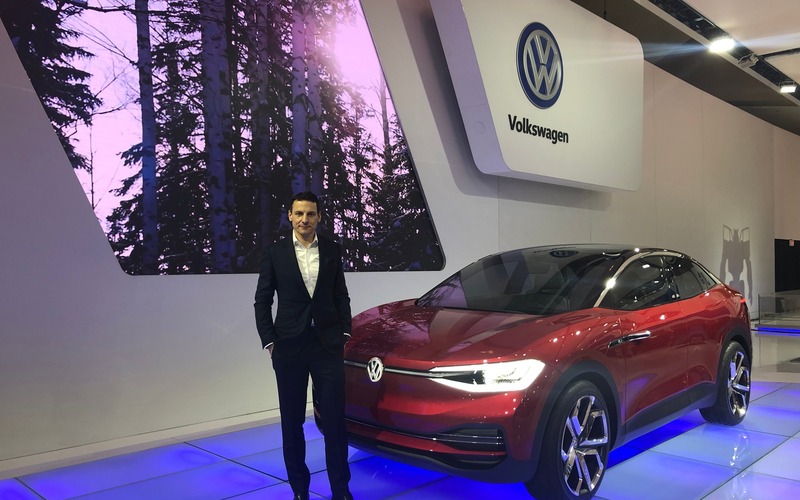 Financial volatility and shortages have always been a topic of concern surrounding Tesla, and that's something Volkswagen, a much larger player, is tackling through scalability. But it takes more than scale and a platform. A fully-electric driving future isn't possible without collaboration. Out of necessity, industry leaders from the private and public sector must come together to formulate city planning and infrastructure that centres around mass mobility and ride sharing; a path that works in contrast to the traditional automotive business model of private car ownership. With traffic congestion at a premium, the ride sharing term isn't reserved just for buses, taxis, and Uber or Lyft. Volkswagen is being proactive through planning various strategies and scenarios with hundreds of companies across the globe. To what extent is the big question, but what's clear from the leadership forum and Volkswagen's aggressive electro-mobility plan is that the days of one automaker or even one industry addressing the terms of future mobility are over. 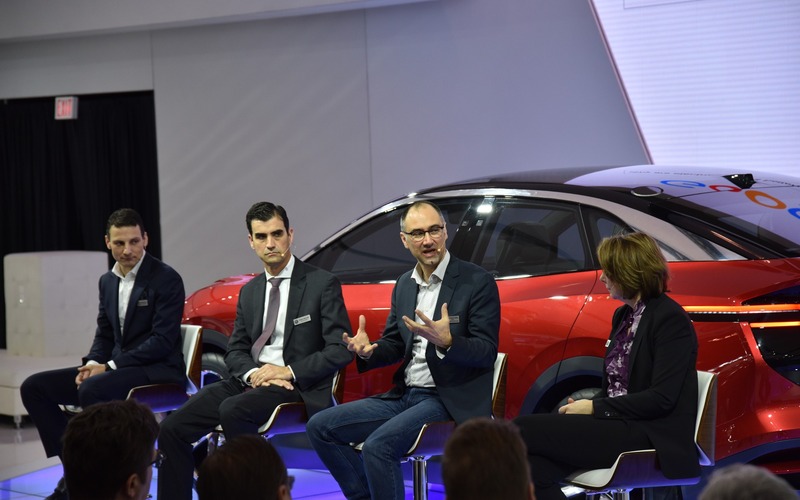 Alternative powertrains and mobility always bring about more questions than answers, but at least it starts a conversation across various industries and government bodies, providing a chance for the Volkswagen Group to be a part of the solution. When Auto Shanghai kicks off on April 16, Volkswagen will unveil yet another member of its ID. family of electric vehicle concepts. The all-new ID. ROOMZZ will also be its biggest one to date. Just like the compact I.D. , the I.D. CROZZ , the I.D. BUZZ , the I.D. Just as the federal government announced the details of its new rebate program for electrified vehicles, Kia Canada is confirming the admissibility of its two new models by revealing their pricing structure. In both cases, the Korean brand specifies a maximum driving range of 383 kilometres on a full charge. The highly anticipated 2019 federal budget presented today by Finance Minister Bill Morneau includes a new rebate for Canadians who purchase an electric vehicle. Through this measure, customers will get a $5,000 break from Ottawa when they buy a new electric or hydrogen-powered car with a base price under $45,000. The Car Guide is the benchmark of excellence for the Canadian automotive landscape. It offers news, reviews, and exclusive videos, as well as all of the important details concerning new and used vehicles. Subscribe to our newsletter to receive by email weekly reports on the contents published on The Car Guide. You can unsubscribe at any time.